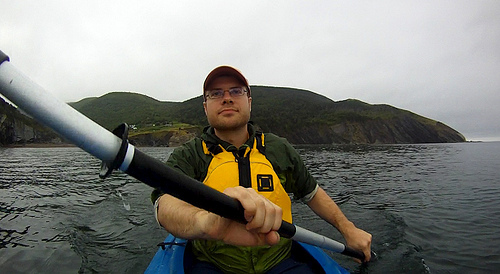 On a misty afternoon I rented a kayak and spent 4 hours exploring the rocky coast with its cliffs and waterfalls from the water. 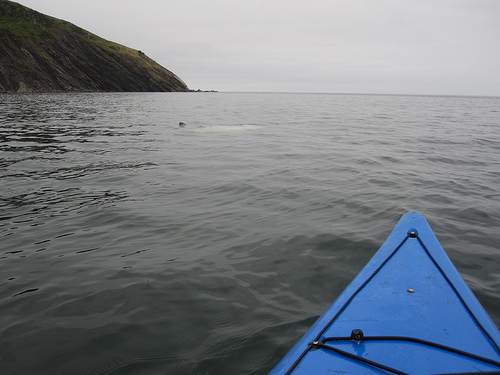 About 300 meters from the beach I saw a whale’s fin waving out of the water 10 meters from my bow. It dove before I could see much more than its fin, but it was still neat to get so close to something so big.